With so many options out there, it can be a daunting task finding a reliable coffee machine for your home or office. Single serving coffee machines come in all shapes, sizes and with different functionalities. 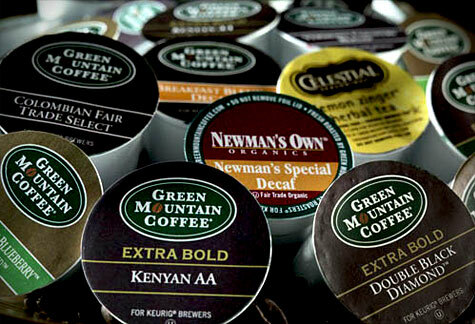 Some use K-Cups®, others use coffee capsules – the list goes on. There are pros and cons to each machine. At The Coffee Delivery Company, we only stock the most premium coffee machines on the market. Our Keurig single-serve coffee machines have proved to be reliable workhorses and are one of our best sellers. 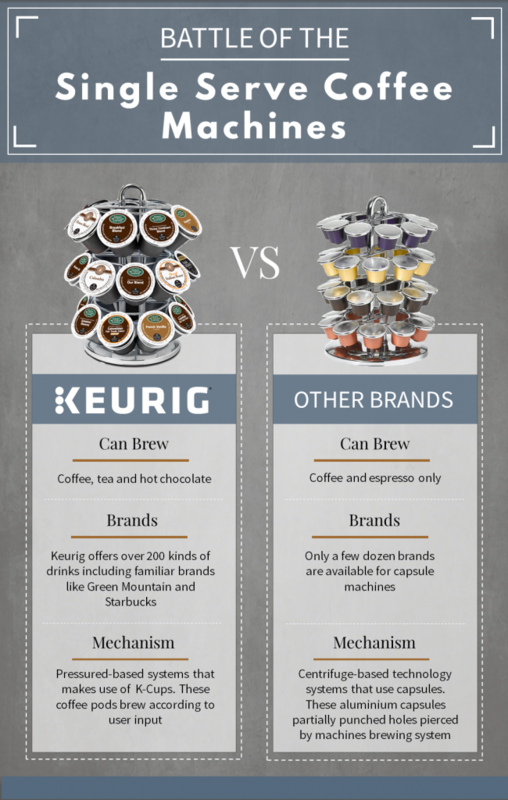 We have created an infographic to illustrate how the Keurig® out ways its other opponents. If you are interested in renting a Keurig ®coffee machine from us, please do not hesitate to one of our friendly customer service team on 0330 123 3309. Alternatively, you can just fill in your details here and we will get back to you.